Akaso V50 Elite Review You Need to See! Even though I had the camera for while, it took me a while to write this Akaso v50 Elite review. If you are looking for a cheap but efficient action camera then you might want to look at this one. 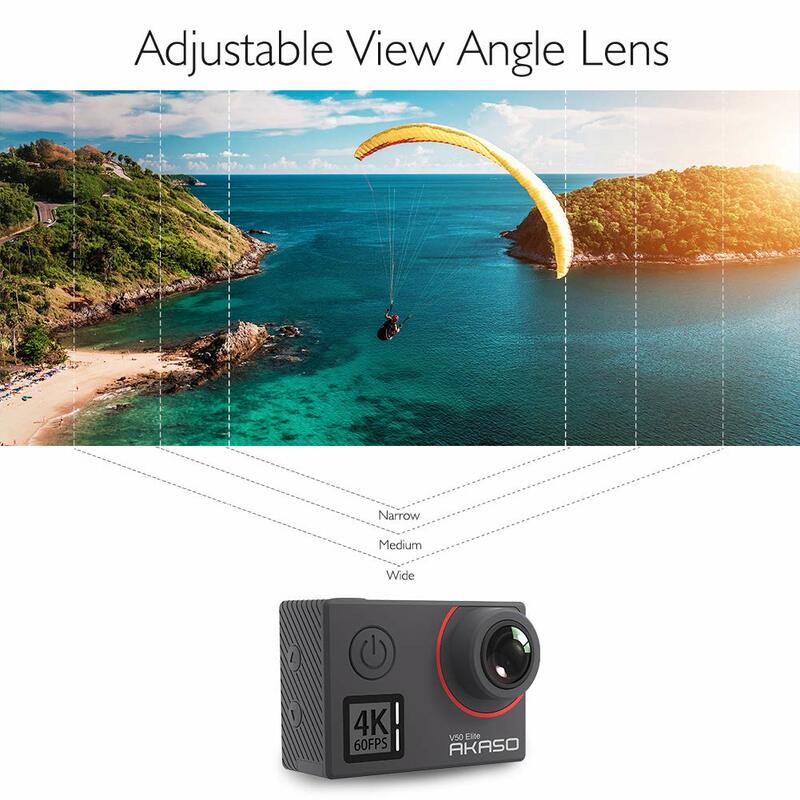 Like its competitors, Akaso offers a wide range of entry-level action cameras with features comparable to that of GoPro. Ever since GoPro flooded the market with premium action cameras, several brands have emerged offering more affordable alternatives and keeping most of the premium features. This was a great move from a marketing point of view because it appealed to both beginners and previous GoPro users alike. Since these cameras resembled GoPro models in dimensions and design, one could easily use mounts and gimbals that one had bought for their previous camera – GoPro or otherwise. In 2018, the V50 Elite was released with Akaso promising native 4K recording at 60 fps. The Akaso V50 Elite is an upgrade from the EK7000 Pro. It offers an improved video and picture quality, and is priced below 150$ on Amazon. In this article, I take on the V50 Elite and find out whether it is indeed worth the money. Both the Akaso V50 Elite and ThiEye T5 Edge are low budget action cameras at a similar price range. On paper, the Akaso product looks better, offering 4K recording at 60 fps in contrast to an upper limit of 30 fps in the T5 Edge, and a 20 MP image sensor in comparison to a 14 MP one in the ThiEye variant. Also, unlike the former, ThiEye T5 Edge does not have a touchscreen panel. When it comes to actual performance though, the tables seem to turn. The ThiEye does a far better job in every single department, and delivers as much as it promises, unlike the V50 Elite. It provides better image stabilization, comparable photos, and a much better audio quality, thanks to the dual microphones. ThiEye has been making massive inroads in the action camera market as an alternative to GoPro, and the brand cannot risk failing to live up to expectations. Hence, it is understandable why the T5 Edge performs much better than the V50 Elite despite being inferior on specifications. If you are torn between the T5 Edge and the V50 Elite, we would recommend you to go for the former. Check my T5 Edge review here. The 4K at 60 fps is not a huge improvement, and is definitely not worth it if you are going to use it sparingly. The Akaso V50 Elite is very similar in design to its sister the V50 Pro, feel free to check my review if you want to learn more about it. The V50 Elite does not go overboard in the design section. It is made of rubberized plastic that ensures it does not look cheap. At 2.4 x 1.6 x 1.2 inches, you can say it resembles the older GoPro models. This implies that you can use the accessories that you had bought for your older action camera with this one too. The camera is not waterproof by itself, and you will need to use a waterproof housing if your adventures take you underwater. This should not be a headache as Akaso packs in a waterproof case along with the camera that protects the device up to a depth of 40 meters. On the front, the camera holds the lens along with the Power button which also acts as the Mode button. There are two LED indicators positioned just below the power button that gives the camera a sleek appearance. The back flaunts a 2 inch LED screen that has decent viewing angles and is bright enough to use outdoors. The touch screen is responsive, but you can also use the buttons provided in order to navigate through settings and capture videos. At the top, there is the Wi-Fi button with a rig of blue LED surrounding it. This button also performs several other functions like recording and selecting options in your camera. The microphones are located a bit towards the left of the Wi-Fi button. The micro USB charging port, the HDMI output port, and the SD card slot is present on the left side. This camera supports SD cards up to 128 GB, so you don’t need to worry about running out of memory while recording on the go. Like most action cameras these days, the Akaso V50 Elite can shoot in 4K resolution at up to 60 fps. 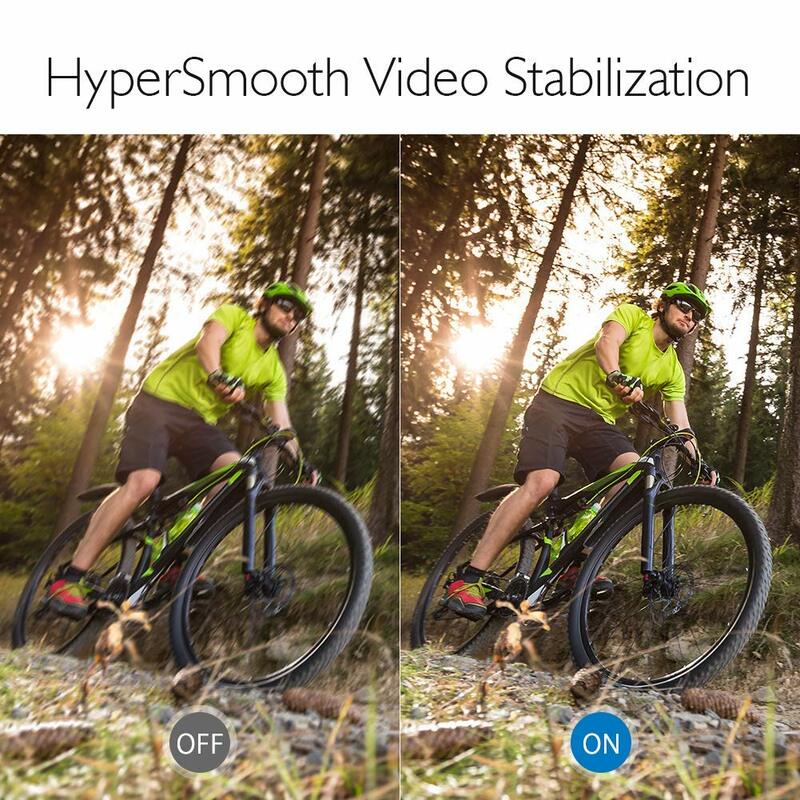 The image stabilization option is not available at 60 fps, so unless you are planning to use a gimbal to stabilize your footage, it’s best to record in 4K at 30 fps. It must be pointed out here that although the electronic image stabilization (EIS) does quite a decent job in removing bouncy footage, it is not as good as in other cameras at this price point. This should not bother you if you are looking for a cheap action camera for recording leisurely activity, but if you are a professional and image stabilization is a priority, this can very well turn out to be a deal breaker. Akaso had invested in a significant amount of promotion of its image stabilizing feature during the launch, promising impeccable performance in predicting the users’ movements and fixing camera shakes. It is disappointing that the company has failed to live up to the expectations and has rolled out a feature that is simply not in the same league as its competitors. The V50 Elite can also record in 2.7K at 60 fps, 1080p at 120 fps and 70p at up to 240 fps. 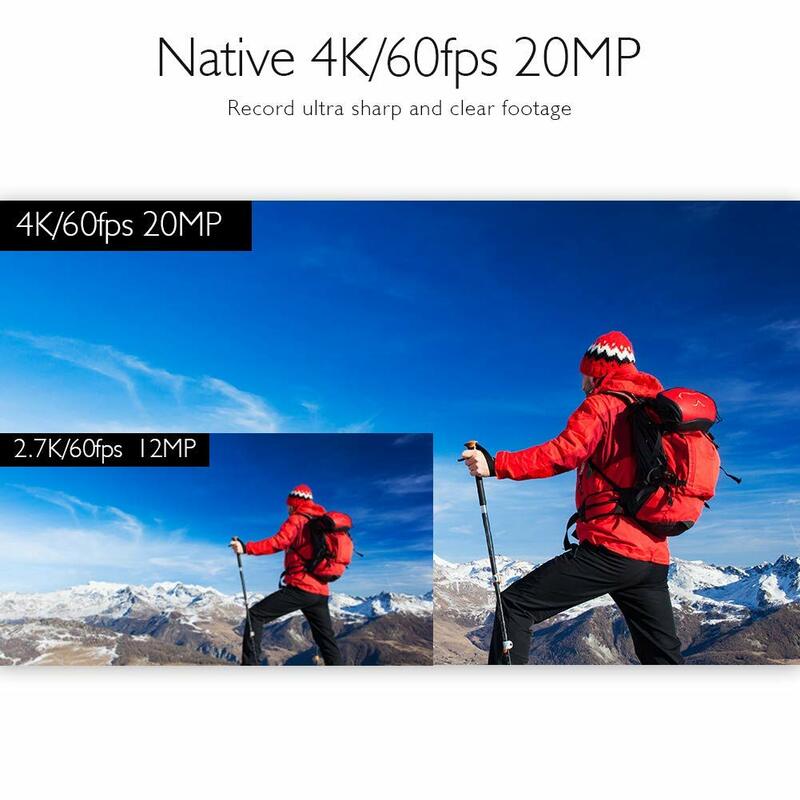 The EIS, however, is not available for the highest fps in each resolution and for 720p videos. Interestingly, the camera can continue recording while it’s charging. This is not the case for quite a few of its competitors on the market, but considering the fact that an action camera is hardly meant to record indoors, this may not seem like a big deal after all. However, if you are looking to record a time lapse footage, you can simply plug in your device to the power bank and stop worrying about running out of juice while recording. Under the video settings, there is a nifty feature called Drive Mode that allows you to pause and resume shooting while stopping and starting your vehicle. The V50 Elite comes with a 20 MP image sensor that does a good job in capturing crisp, detailed images and vibrant colors. The daytime images look exceptionally nice, but it fails to keep up under low lighting conditions. In an attempt to reduce the noise, the camera ends up providing muddy images at night. Hence, it is advisable to use this in daylight for optimum performance. Also, this camera supports 8x zoom, thereby allowing you to create better-looking, versatile footage according to your desire. It has optional view angle that lets you decide among Wide, Medium, and Narrow angles. The fact that Akaso is willing to keep pace with technology is evident from the fact that the V50 Elite supports encoding in H265 format along with the standard H264. The H265 is a relatively new format that saves a lot of storage space without harming the quality of footage. Check the difference between H265 and H264 here. The sound quality in the V50 Elite suffers significantly in presence of the waterproof case. This issue could have been solved had Akaso gone for a waterproof camera body, but to be fair, at $140, it does seem a bit of a stretch. Outside the case, the sound quality is average at best. It is not top notch, but it’s better than nothing. If you are looking to record a concert, we would highly discourage you from doing so. It is more suited for conversations and traffic recordings. If microphones are a priority for you, you may be better off investing in an SJCAM like SJ8 Pro which boasts of dual microphones at around $300. The touchscreen is reliable, intuitive, and provides a seamless experience. Akaso also offers you the option of using buttons for controlling your camera. In case you want to operate your device without using your hands, Akaso gives you the option of voice control as well as remote control. 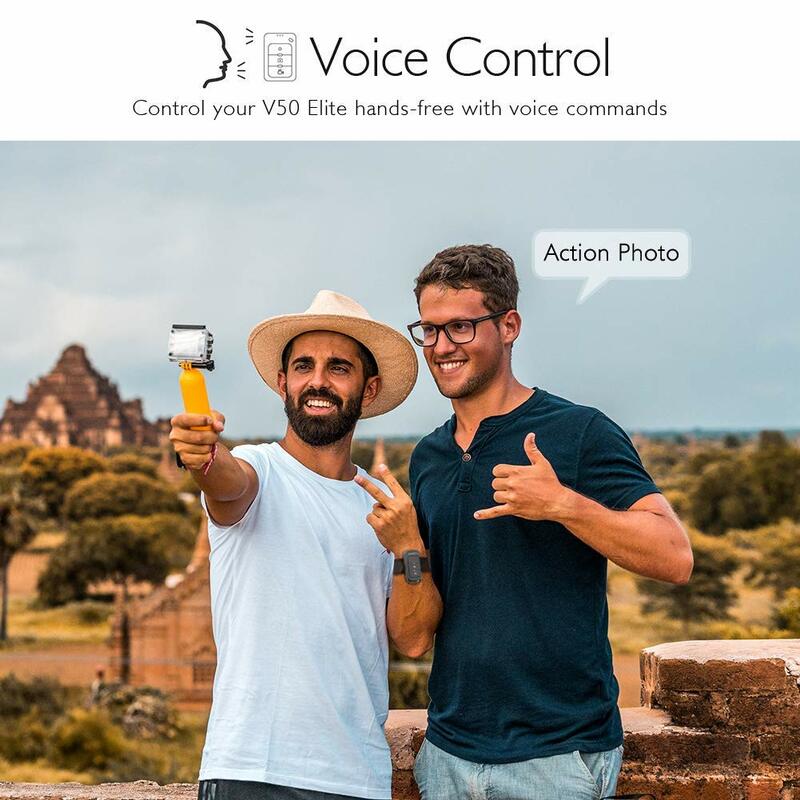 For voice control, you will have to set it up first before using commands like “Action Start Video” and “Action Photo”. The remote control works via Bluetooth connectivity, letting you capture photos and start or stop recordings at will. In order to power on the controller, you will have to hold down the red button. Setting it up may seem bothersome initially, but once that is done, the remote control will make your job way easier. The V50 Elite boasts of a built-in 2.4 GHz Wi-Fi connection that helps you pair up your device with the AKASO DV app on your smartphone or tablet. The AKASO DV app is available on both Google Play Store as well as the iOS Store. Once you have downloaded and installed the app, you can remotely control your device from a distance. You can change settings, navigate the menu, capture images, and record footage as you like. However, at a distance of more than 10 meters, the camera seems to disconnect frequently, but hopefully, this issue may be fixed later on. The app interface is simple and user-friendly. 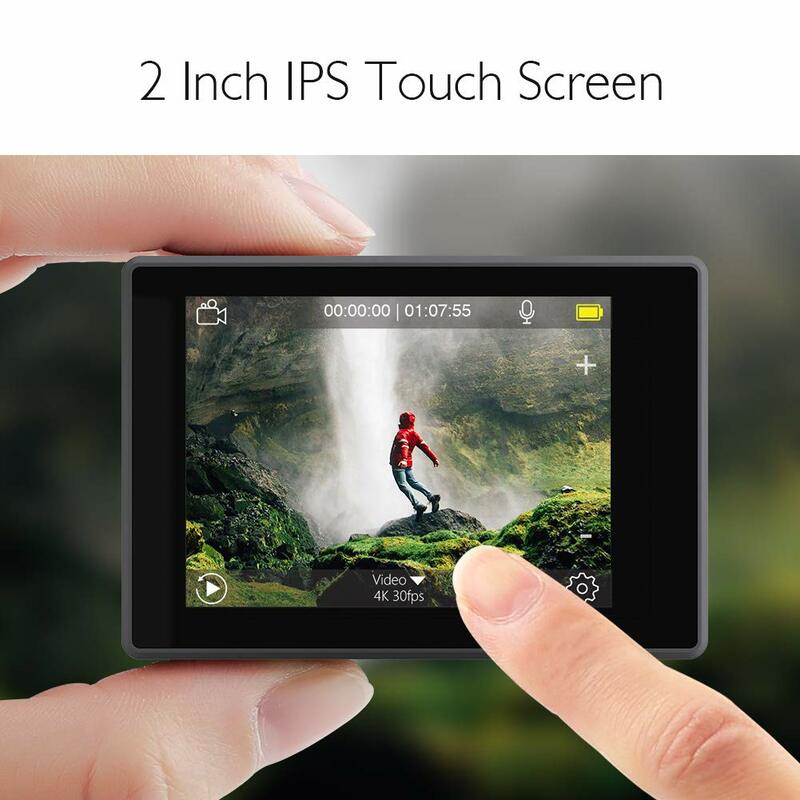 It shows you exactly what you see in the camera display and lets you perform all the basic actions hands-free. In order to connect the Wi-Fi, you need to hold down the Wi-Fi button at the top till a white screen with Wi-Fi information appears on the display. You will then need to go to the settings of your smartphone and connect to the camera’s Wi-Fi. Once the pairing is done, you will be able to transfer files and operate your camera through the app. But frequent disconnections may mar your experience, so it is recommended that you use the SD card to transfer files to your devices through an adapter. The Akaso V50 Elite is one of the few cameras in the market that come with 2 rechargeable 1050 mAh batteries. These provide up to one and a half hours of recording (a bit less if you are shooting in 4K, of course) on full charge. The battery life may not be significantly better than other action cameras, but the fact that you can charge the device without pausing your recording gives the V50 Elite an upper hand in the market. The camera package also contains a Bluetooth remote control, a waterproof case, a bicycle stand, seven mounts, a clip, a helmet mount, a bandage, five tethers, a protective backdoor, a USB cable, a lens cloth, and a user manual. 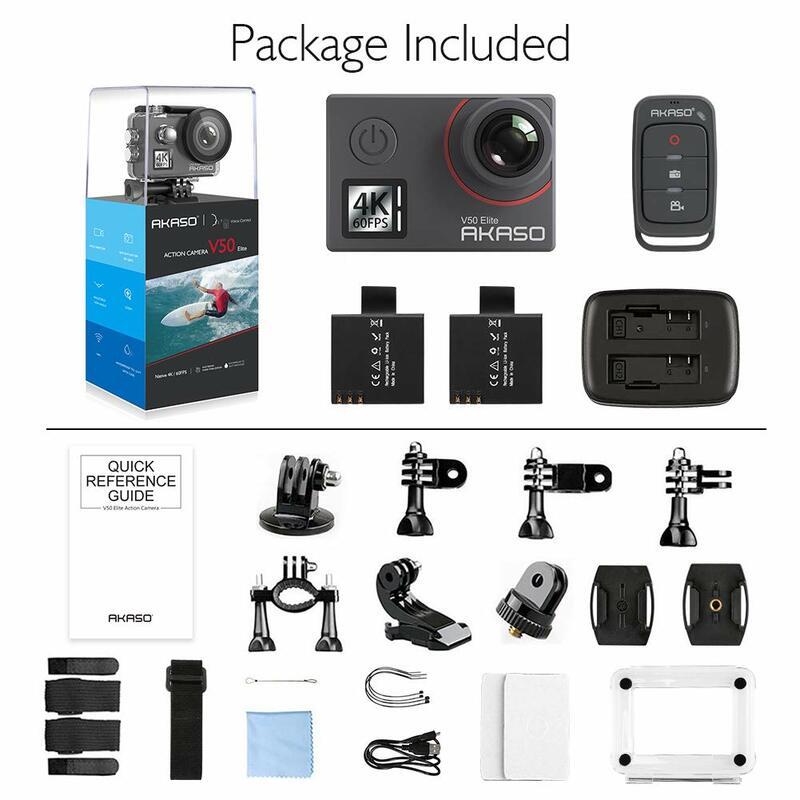 Because of its dimensions, all the accessories in the box can be used with most other action cameras including a few GoPro models. The remote control is a great feature, and along with the protective backdoor, it makes underwater device control a lot easier. At less than $140, there isn’t much that you can hope for in an action camera. The Akaso V50 Elite is far from being the best in the business but it does an appreciable job as an entry level device. It offers 4K recording at 60 fps, 4K at 30 fps with image stabilization, crisp images with 20 MP sensor, and premium features like voice control, remote control and smartphone app. The camera is overall easy to use, and performs decently during moderate usage. Also the double batteries packed with the camera are a definite pro, as is the fact that it continues to record while charging. The cons, however, are quite a few. Be it the image stabilization software or the Wi-Fi connectivity – the V50 Elite falls short of premium performance again and again. The mic is not the best either, the excuse, of course, being the low price. Therefore, in the end, it comes down to functionality versus affordability. The V50 Elite promises a lot, but ultimately, fails on more occasions than one. 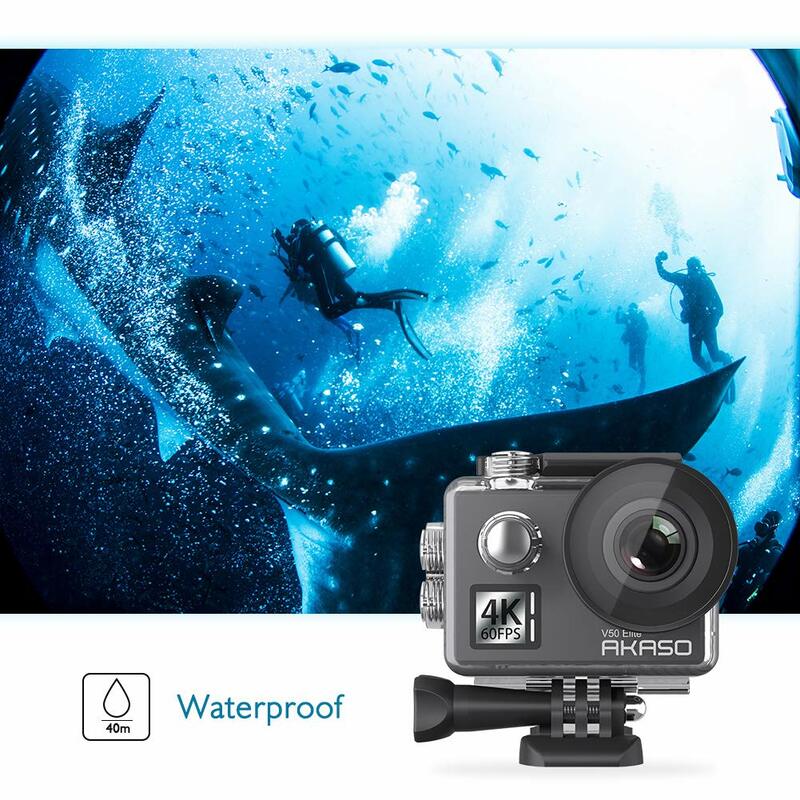 If you are planning to purchase an action camera for a leisurely vacation to the beach or for regular vlogging, an entry level device as this may be the way to go. For anything more, you will find better alternatives in the market by investing just a few more bucks.